Our guest post and monthly column comes from Howard Hian who was recently awarded a Gold Medal/First Place Award from the North American Travel Journalists Association’s annual international writing contest. San Diego – Spring is here and Summer won’t be far behind, so let’s see what’s happening around town. Family Fun Magazine recently handed out its travel awards and the San Diego Zoo and SeaWorld were big winners. San Diego was on the list as one of the most kid-friendly cities and is great for couples too. SeaWorld kicks off its 50th. anniversary with an 18 month long “Sea of Surprises,” introducing its newest attraction, Explorer’s Reef. For more, logon to www.seaworldparks.com. Balboa Park, home to museums, attractions, gardens, performing arts, recreation/play areas and restaurants is both family, couple, and budget friendly. 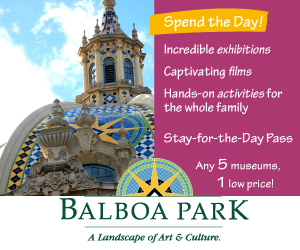 They have a new promotion, the Balboa Park Explorer Annual Pass, as well as a 7-Day Passport and Stay-for-the Day package. You can find information at www.balboapark.org. Spring introduces lots of baby animals to the world famous San Diego Zoo and its Safari Park. Don’t miss the orangutan and two koala joeys at the Zoo and Leroy, the 3-month-old Ugandan giraffe at the Park. Check out their live-cams at www.sandiegozoo.org and www.----escape_sem_autolink_uri:a2f3463d4f329c9e8691d5751582b8a3----. LEGOLAND: There are four good reasons to visit: LEGOLAND itself, the water park, SEA LIFE Aquarium (separate admission) and the super-cool hotel. Vacation packages and discounts are available at www.california.logoland.com. One of my “under the radar” favorites is the Birch Aquarium at Scripps in La Jolla, www.aquarium.ucsd.edu. It is part of the Scripps Institution of Oceanography at the University of California. 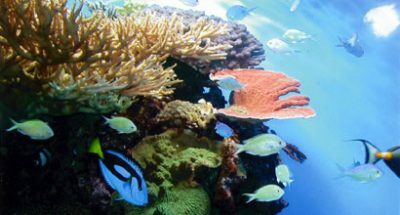 Located on a bluff overlooking the Pacific, the aquarium showcases more than 60 habitats of fish and invertebrates from the waters of the Pacific Northwest to Mexico. Military/Government Special: The Holiday Inn Express Downtown San Diego features a package that includes breakfast, lunch and dinner, free parking and a complimentary happy hour Sunday – Thursday. All this for the $139 per diem room rate. Las Vegas – May 8-11 brings the culinary extravaganza, Vegas Uncork’d by Bon Appétit, to town. The Bellagio, ARIA and MGM Grand will host a lineup of events, tastings and dinners featuring some of the world’s best chefs, sommeliers and mixologists. For details, go to www.vegasuncorked.com. Don’t miss Bellagio’s Conservatory and Botanical Gardens Spring Celebration, featuring over 82,000 fresh flowers; it’s free, spectacular and open through May 11. Their Summer Garden opens May 18. Its official name is The National Museum of Organized Crime and Law Enforcement but it is better known as the Mob Museum. It features the largest collection of gangster andc law enforcement memorabilia under one roof. A new exhibit opens May 7 featuring Ralph Lamb, Las Vegas’ legendary law enforcement figure. His 18 year tenure as Clark County sheriff inspired the television drama, “Vegas,” starring Dennis Quaid. On May 21, the museum will host “Beating the Odds, An Inside Look at Casino Cheating” in its historic courtroom. Panelists include a card counter, a casino surveillance director and a former Nevada Gaming Control Board agent. 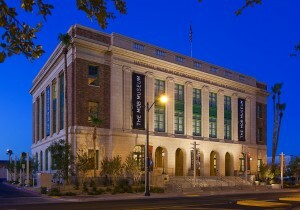 The website is www.themobmuseum.org.